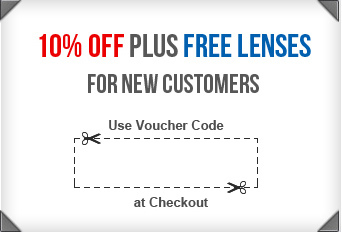 Lensite.co.uk is an online website which provides contact lenses and solutions direct to you by post. Contact lenses can affect the health of your eyes, so for us to supply you with the specifications of your prescription issued by your practitioner you must understand and agree to the terms and conditions below. 1. Lensite.co.uk can only supply contact lenses that are absolutely identical to those you were fitted with by your practitioner. 2. You must have a contact lens (not spectacle) prescription that has been issued in the last 12 months. 3. Lensite.co.uk will trust the information supplied by you is the correct contact lens specification provided by a qualified eye care practitioner. 4. We can take no responsibility for your lack of suitability to wear contact lenses as to your specifications or for your overall suitability to wear contact lenses. 5. Lensite.co.uk is Operated by Contact Lenses Limited. After placing an order, you will receive an email from us acknowledging that we have received your order. Please note that this does not mean that your order has been accepted. Your order constitutes an offer to contract with us to buy the Products. All orders are subject to acceptance by us, and we will confirm such acceptance to you by sending you an e-mail that confirms that the Product has been despatched (the "Dispatch Confirmation"). The contract between us ("Contract") will only be formed when we send you the Dispatch Confirmation. The Contract is made by you with ODL Ltd in relation to the supply of the Products and Dispensing Services. By placing an order for contact lenses, you are confirming that you have a valid in-date contact lens specification from your optician for the contact lenses which you have ordered, and also that the information you enter into our Site matches your contact lens specification as provided by your optician. You consent to your optician being contacted by a member of the Lensite.co.uk team to verify your contact lens specification and any other necessary information. The website www.Lensite.co.uk ("our website") is operated by ODL Ltd (referred to in these Terms and Conditions as "we", "our" and "us"). We are an online retailer supplying contact lenses. This is an agreement between you and us. i. The prices of products shown on the website include VAT and Dispensing services. ii. The prices of products shown on our website do not include postage costs. The postage costs for your order will be shown to you at the time you make that order. In some circumstances delivery costs will be borne by Lensite.co.uk. In such circumstances you order details will not include charges for delivery. iii. This Site contains a large number of products and it is possible on occasion that some of the products listed on this site may be incorrectly priced. We normally cross check prices as part of our dispatch process so that where a product's correct price is less than our stated price, we will charge the lower amount when despatching the Product to you. If a product's correct price is higher than the price stated on our Site, we will contact you for confirmation to allow us to collect the difference before shipping the Product. We are under no obligation to provide the product to you at the incorrect (lower) price, even after we have sent you an order despatch confirmation notification. If the pricing error is obvious or should have reasonably been noticed by you as a pricing mistake. iv. We will not accept liability to you where we are unable to fulfil any of our obligations to you as a result of situations beyond our control. If we or all of our assets are acquired by a third party (personal data about our customers will be one of the transferred assets). If we are under any legal obligation to share your personal information with law enforcement authorities. 7. Lensite.co.uk reserves the right not to supply contact lenses if it considers for reasons of ocular health or replacement contact lenses requested according to the specification are not clinically suitable, or if you have been advised by an eye care or medical practitioner to stop wearing contact lenses. 8. You (customer) agree that Lensite.co.uk can make contact with you via e mail to inform you when we believe you are due run out of contact lenses. This ensures that you can re-order contact lenses before your existing supplies expire. All information provided relating to your nearest optician has been sourced from information publically available from various Primary Care Trusts around the country. This is purely a service and Lensite.co.uk accepts no liability for its use. Any Optical establishments that would like us (Lensite.co.uk) to exclude their details from our database should send an e mail to cs@lensite.co.uk requesting removal. 12. ODL Ltd acts on behalf of Contact Lenses Ltd in respect of optical goods distributed for sale by www.Lensite.co.uk.